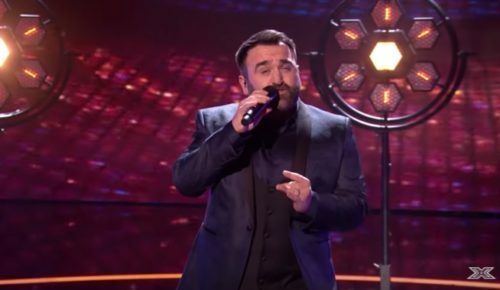 X Factor UK contestant Danny Tetley stunned judges with his audition and he’s kept the audiences on his side as he’s soared his way through power ballads. Now he’s taking the next step and sharing his heart with his fans. Tetley has told British newspaper The Sun about his emotional coming out to his father – and his dad’s surprising reaction. The two were traveling in the United States when they unexpectedly ended up at a Los Angeles gay bar after a night out drinking. “I always had my questions over the years but Dad was never open about it,” Tetley told the paper. Tetley says that his parents divorced when he was young and that he feels for his father and the circumstances that defined his life. Tetley sang Gladys Knight’s “You’re The Best Thing That Ever Happened To Me” at his dad’s wedding in 2016.